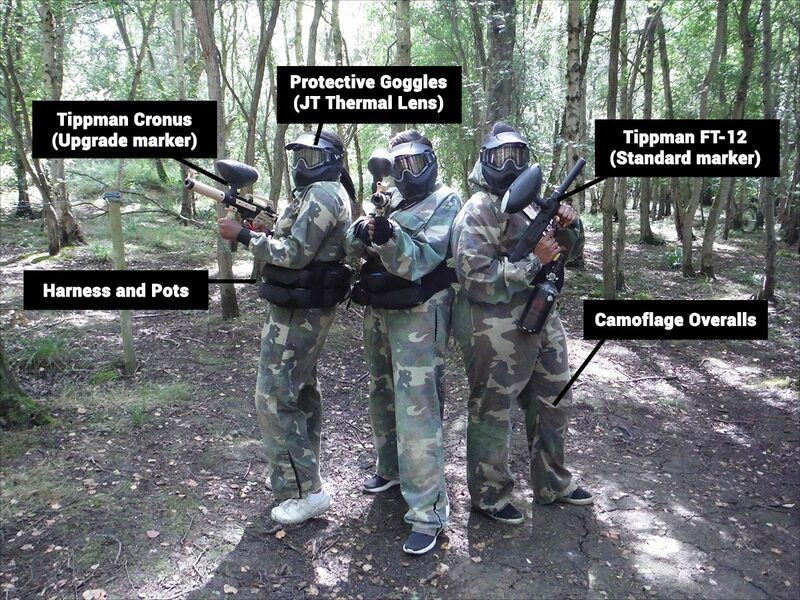 We supply you with everything you will need to play paintball – paintball marker, protective goggles, overalls, pots and harness and of course paintballs. The paintball marker is a Tippmann FT-12, we find these markers are particularly reliable and also very robust, making them ideally suited for paintball games. For a small additional cost you can choose to upgrade to a Tippmann Cronus and these are issued on a first come, first served basis on the day. Also if you prefer, you have the option of using the standard protective goggles or the full head protection. This is available by request at no extra charge. Additionally Dark Sports Chest Protection is also available on request. To book your paintball session, you can complete the contact form or alternatively call Julie on 07790 143118 or alternatively email Julie@gunsmoke-paintball.co.uk stating Younger players paintball booking.